I’ve written before about designing yourself a gorgeous terrace, when I gave you some tips to help you to get the most from your entertaining space. But what about the finer details? How do you make sure they’re right too? What material you use on the terrace will of course affect the whole look and feel of the space so I thought it would be helpful to give you a few tips about choosing which to use. Paving is the obvious choice for a terrace of course but there are many types and finishes you can choose depending on the ambiance you are trying to achieve. 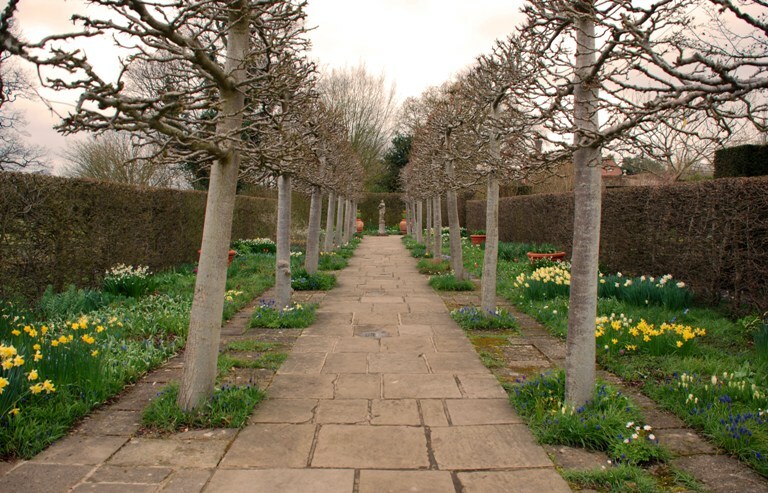 An informal English cottage-style garden will command a very different material to achieve the right look and feel than a contemporary modern, minimalist garden will. 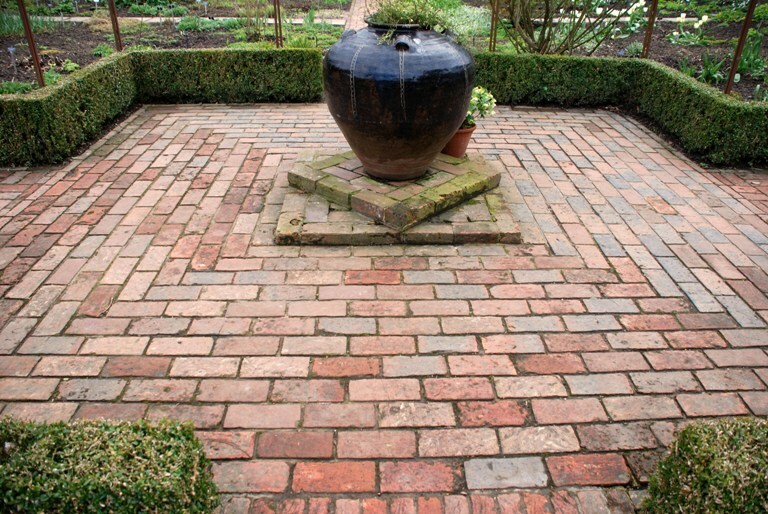 Reclaimed bricks, York stone and gravel will work wonders in an informal space, something with texture and rough edges, but for a contemporary garden you’re more likely to want a smooth stone with sharp edges and not much variance in colour. Each has its challenges of course. Reclaimed York stone is very time consuming to lay because no piece has the same dimensions and the large stones will require 2 people to lay them. Sawn smooth stone will be much quicker to lay because the sizes will be uniform, but a light coloured stone will probably need to be sealed to help it to stay clean, if you don’t then an accident with a glass of red wine may haunt you forever. Natural stone paving will always look better than a manufactured product, but your budget will obviously dictate what you can have. There are some budget sandstone products out there which look great and are fine to use on pedestrian traffic areas. Natural stone always looks better if you need to make cuts because the cut edge will look the same as the uncut edges. Concrete products, when cut, will expose the concrete so do ensure that any cut edges are laid so that they can’t be seen. If you terrace is north facing then you’ll also need to consider the material you use. York stone can be really dangerous on damp shady areas as it’s porous nature attracts moss and algae – you would never use it round the edge of a swimming pool either. Sandstones are better in shady areas but if you want the York stone look, there are alternatives – Porphyry is a non-porous greyish stone that works perfectly in areas that could get slippery. 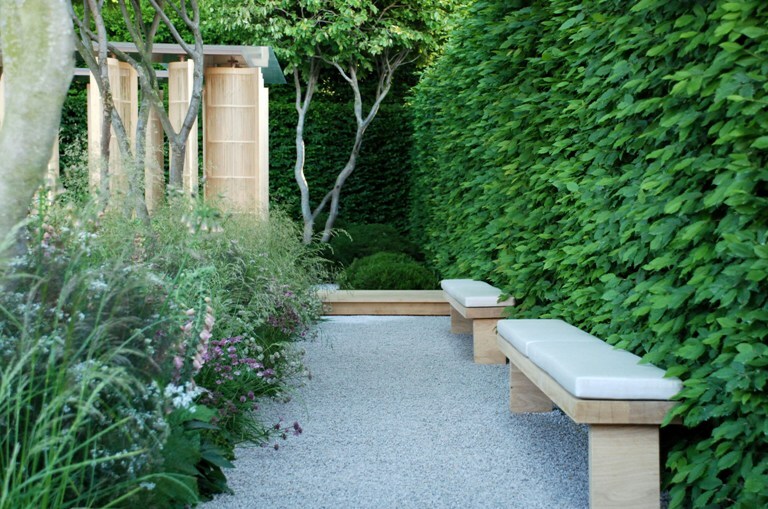 For more informal sitting areas, decorative aggregates can be a good choice. They are free-draining and can be topped up if necessary, great for an informal garden as you can create planting pockets easily. Not as easy to sweep of course, but a good rake will do the job. When using aggregates for pathways you need to choose an angular cut mix. If the individual stones are too rounded it will be difficult to walk (think pebble beach!) – angular stones will knit together better and provide a more solid standing. We are just having contemporary extension to our Victorian house including new hall and front and really struggling with the steps and stone for the paving. We are cladding the new front hall in western red cedar and the original large front door will be surrounded in a frosted additional frame, but what stone for steps? It is a red brick house. Hello Susan. For a traditional material with contemporary feel, you could go for something like sawn York stone. It’s a good idea to go to a local stone supplier and see what they have. Take some samples home and look at them in-situ too (both wet and dry) to see what looks best with the brick…there’s red brick and red brick! The cedar will silver eventually so you’ll need to consider that too. Yes me too, but sometimes aggregates are the only way to go especially when budget is restricted. Hi Lisa, You mention that there are some budget sandstone products available. Could you tell me more about these so that I might source something for a North facing terrace that will be right outside our kitchen door. We have a light travertine on the kitchen floor so it needs to blend with that. Hello Anneliese. 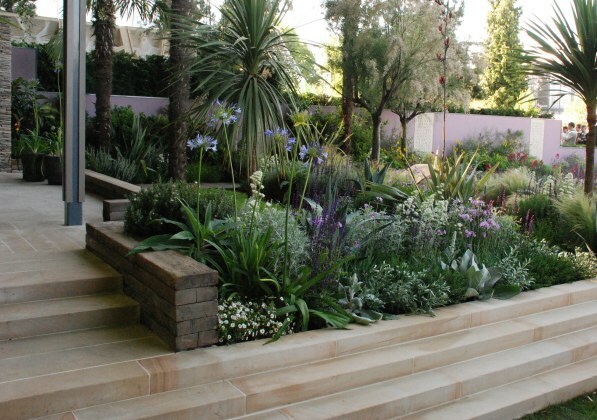 Budget sandstone normally comes from India and costs in the region of £15-20m2 + VAT, depending on the supplier. For a north-facing terrace, it might not be the best choice because it is quite porous and will go green, although can be cleaned with a pressure washer from time to time. Just be sure to avoid “mint” or “Fossil mint” colours – they look great when they’re clean but go green in a flash as soon as it’s a bit wet! There are some great porcelain products on the market now for outdoor applications, but cost-wise they’re in the region of £30-50 m2 so I guess it depends on your budget and how big an area you are paving.